I took this picture tonight at a house across the street from me. 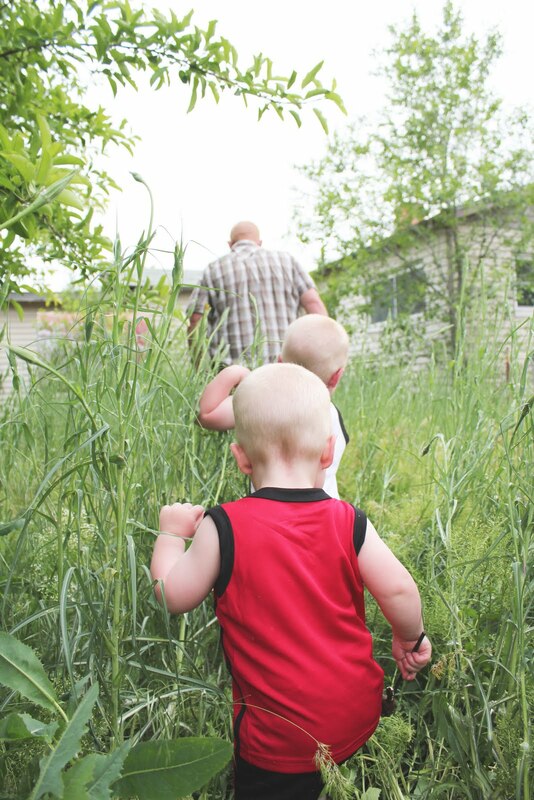 This is a long-time friend's husband and their two sons that I did a photo session with. I loved the "totem" effect of this photo, with all three of their matching heads, tallest to smallest- 3 boys just being boys.